This collection contains adapted patterns inspired by Muhu island (Estonia) designs. 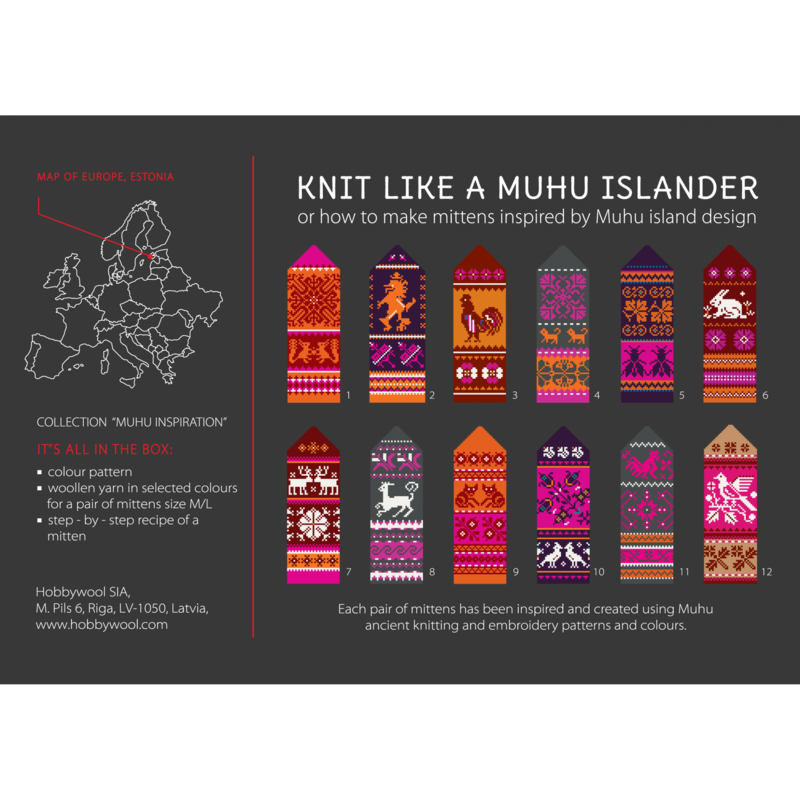 Therefore collection called "Knit like a Muhu islander". With this kit You will learn how to make a pair of Muhu island inspired pattern mittens. 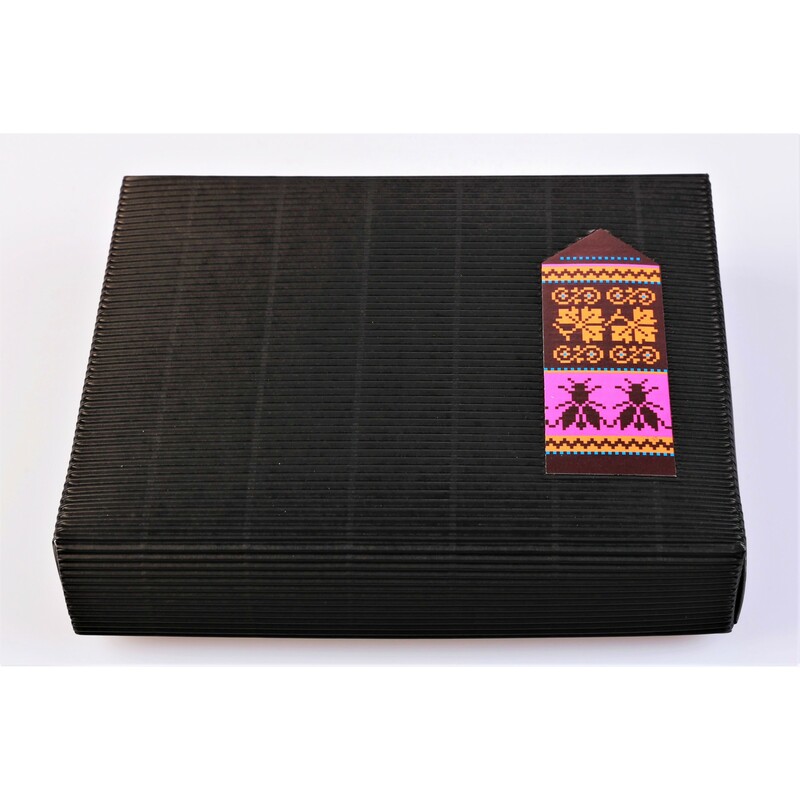 This collection contains adapted patterns inspired by Muhu island (Estonia) designs. 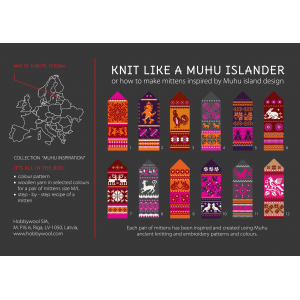 Therefore collection called "Knit like a Muhu islander".colour pattern100% wool yarn in selected colours for a pair of mittens size M/Lstep - by – step recipe of a mitten The wool comes from a family ow..  This is an original ethnographic pattern of Latvian mittens. The wool comes from a family owned farm and is sheared by hands and then made into wool.The wool is rolled up by hands. Even the kit box is handmade. 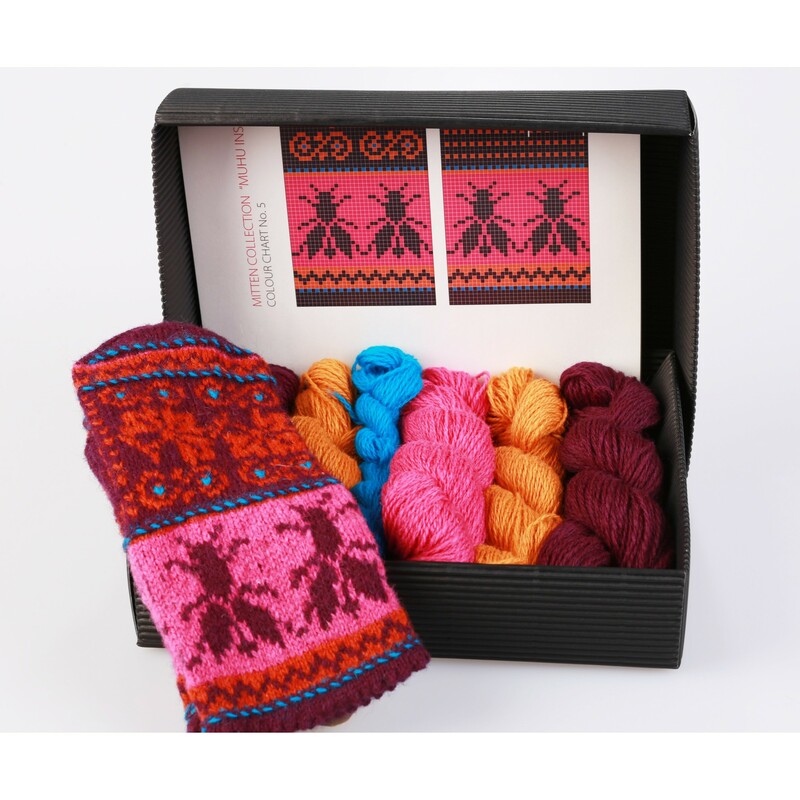 In „Knit Like a Latvian” kit box You will find:colour pattern100% sheep woo..